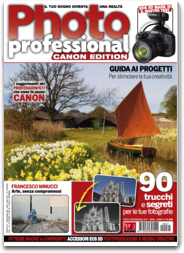 Photo Professional – Canon Edition, only Italian photographic monthly magazine dedicated to Canon users, is now available as an iPad App. You'll be able to browse and read all our reviews, hardware test, suggestions, tips and tricks to get beautiful pictures. Turn the pages using only your finger, zoom photos and texts, rotate the screen to view two pages side by side. – Auto-renewable subscription, 12 months, 23.99. EZ Cam Lite – ..